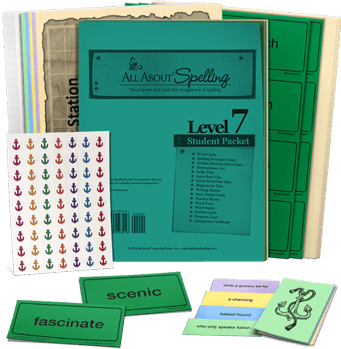 All About Spelling - All About Spelling Level 7 - All About Learning Press, Inc.
All About Spelling Level 7 Materials includes the Teacher’s Manual and one Student Packet (which contains the flashcards, charts, and other necessary components). 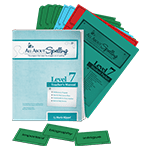 What Does My Student Need to Know before Beginning Level 7? 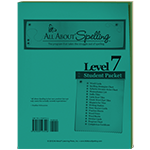 Students should complete All About Spelling Level 6 before starting Level 7. 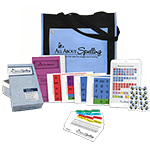 All About Spelling is a building block program: each level builds upon the previous one. 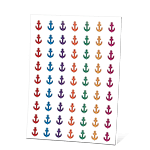 In order to build a strong foundation, most students start with Level 1. 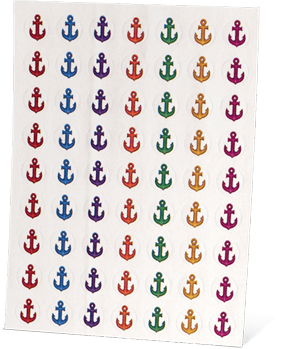 If you have questions, please contact us and we'd be happy to help! 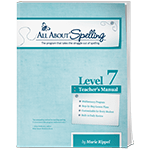 What will my student learn in Level 7? 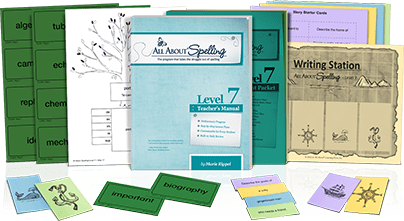 If you are teaching more than one student at a time, you will need to order additional Student Packets for each student. The Level 7 Materials contain enough for teaching one student.